If you are looking for a basketball scholarship, please take a moment to read this. First, let me back up and start at the beginning. Or, at least, a beginning. A bit over five years ago, my good friend James Blackburn and I were sitting in a frigid gym, frustrated and fed up. After several hours of sitting on cold metal bleachers in overlooking courts with no heat in March, we’d scouted about 60 high school players in an open run style showcase. We scouted every single player at the event…but let me explain why we did it, and why it infuriated us. When we walked into the gym, we never saw the event organizer (he never showed) and there were no college coaches in attendence. There were no media in attendance. There were over 60 kids who had paid $150 each, or about that much, to get scouted, and there was no one there to see them. We were the only people who showed; no media, no colleges, no scouts…nobody but James and myself. The players were basically left on their own to warm up, and eventually a few coaches and ‘referees’ showed up to organize the games, but the qualifications for being a ref were basically ‘have a whistle’. One ‘ref’ per court, and the ‘coaches’ at the event were texting on the sidelines, paying no attention to the games, as the players subbed themselves in and out of the game. So James and I looked around and decided that these kids deserved better than to be scammed; we decided that if we were the only people who came to see the players, then we would watch them all and make sure someone actually scouted them. We sat down and watched basketball all day and we found several college level players. Time has passed and I can confirm that this is not speculation; over a dozen of the players we saw that day are currently playing college basketball, a couple have gone on to play at the Division I level. Now, there are good individual showcases that exist…but this was definitely not one of them, and there are too many that spring up which just look to make money off of young players and naive parents who think they are going to show up to a gym packed with ACC coaches and national media. This is similar to why I rant about middle school rankings, but that’s a different topic. To be clear, there are a few showcases that are very good. I don’t want people to think I’m painting with a broad brush here. So that day, after seeing all of those good players, I told James that we needed to put together a showcase that actually gave the kids what the bad showcases promised. We would bring in some players we knew could play and had name recognition, we would call some colleges we knew, we would try to sign up players who were under the radar and we would charge as low of a price as we could. We would get some of the best high school or AAU coaches we knew to interact with the kids. My goal was simple: every kid who came to my event would walk out a better player, even if that only meant he was more knowledgeable about the recruiting process or learned a new drill. It was, in retrospect, a naive ambition; putting on an event is incredibly expensive. The week before our first event I barely slept, trying to organize and pay for everything without losing too much money. Kids would commit to coming to the event only to back out the following day. Colleges would commit to coming only to back out. I scrambled to put rosters together that would make good match ups on the floor. We met with coaches, we tirelessly contacted media we knew, we pitched sponsors. It took a Herculean effort, and by the time of the event we had about 40 players show up, a half dozen colleges, a TV news channel and some minor sponsors. I lost about $700 on the first event…but about two-thirds of the players who came to that first event went on to play in college. Four players who had no college interest were offered by colleges at the event. I suspect the coaches and staff that helped me put together the event felt badly for me, losing money on the attempt. I was ecstatic, and as I drove home in my SUV crammed full of camp equipment and Gatorade coolers, all I could think about was how good it felt to see a player who had almost given up being offered a college scholarship by a college coach. For me, it had been a resounding success. Since that first event, we’ve grown tremendously; We landed on ESPN’s top 10 in 2013; we’ve had players who went on to become McDonald’s All Americans and had multiple players who went on to high major schools. We added Pepsi, Subway and Champion as sponsors (many thanks to their generosity) and added much more national and regional scouting coverage. MaxPreps has stated more than once that our event is one of the biggest on the East Coast and it’s much appreciated. Phenom Hoops and Rivals have been supporters of ours for some time and that’s greatly appreciated as well. Use high quality, highly engaged, diverse coaches for the staff. Coaches’ schedules prevent them from being able to work the camp every single year but we have been incredibly fortunate that we have been able to have so many dedicated coaches involved over the years. This is extremely important to me, because the players interact with the coaches all day. 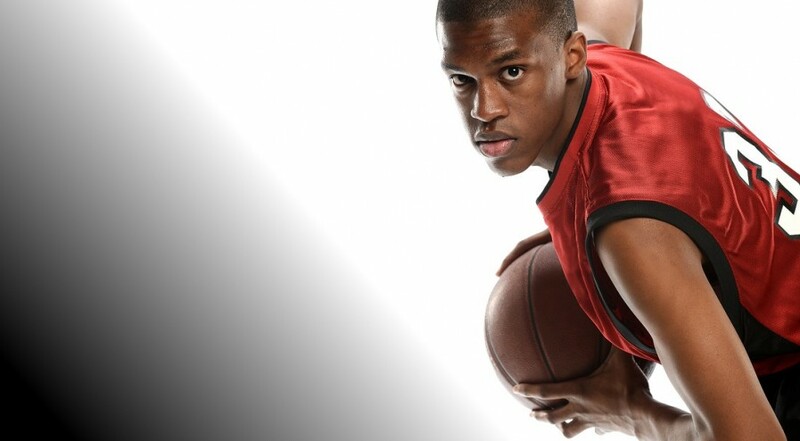 Elite drills and warm up – we’ve scouted NBA practices and camps so many times over the years that we know the drills that elite players have access to, and we bring them to high school players. We put so much work into the drills that we had to reduce the number of games from 3 (our first year) to two because players were getting too gassed by the end of the day. We actually LOWERED the price over the years. What’s that? You say the economy’s doing well and inflation is normal? Not for us. We work every year to make sure that players get some type of improvement. The reality is that we can never make everybody happy; but my goal isn’t to make everybody happy, it’s to try and deliver what we promised and help as many players as we can. We have recruiting experts come in and speak to the parents and players about the realities of getting recruited for college, and they are available all day. There have been pitfalls along the way as well. New people and organizations enter the grassroots scene all of the time, and some are fantastic people, but many are not. We’ve been called names, we’ve had derogatory things said about us and our event, and we’ve had people become angry because they thought we were playing favorites. Many of the people who have told parents not to come to our events are people I’ve never even met and certainly weren’t involved in grassroots or high school ball five years ago. There’s also the misconception that we are somehow making massive amounts of money off our event – my reaction to that is always the same: if you think it’s easy, there’s no one stopping you from trying it. If it’s reputable, I’ll even do everything I can to help you. But if you don’t know what you’re talking about, or you’re looking for a money grab, or you just want to spout nonsense, keep quiet. I’m not listening. It takes no courage to complain, because it does not leave you vulnerable. It takes far more courage to stand up and tell people about something you like, because people can attack you for it. So either stand up for something positive or step aside. I have no time for your silly braggadocio. I honestly don’t know how much longer we will put on our event. It’s been a big success and I’m elated at how far it’s come. However, the work involved is immense and you never know when it will come to a point where I just no longer have the time to put in to make it run the way I want it. It hasn’t all been smooth sailing. I’ve certainly made mistakes and I’ve worked to correct them immediately. So what I’m saying is this: if you are interested in what we stand for at Basketball Elite, please consider attending our 2015 Southeast Summer Showcase. If we can help you in any way,now or in the future with your goals for college (or even your goals for life), we will. Honestly, even if you don’t attend to play but just want to come and talk with me or anyone on our staff, you are welcome to do so. 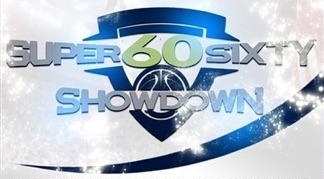 The second annual Super 60 Showdown is headed to North Carolina, check out the details for this year’s high profile event! Due to the response for the upcoming Southeast Summer Showcase, we are having to establish a deadline of June 13, 2011 for registration. UPDATE: Due to a technical glitch on the evening of the deadline, we extended the deadline for early sign registration. However, space is limited, so check the site here to see if we are still taking registrations. This is so we can plan for jerseys, coaches and logistics surrounding the event. If you are planning on attending, you need to register ahead of time in order to secure your spot at the showcase. There is a possibility that players who show up on the day of the event to register will have to be turned away. 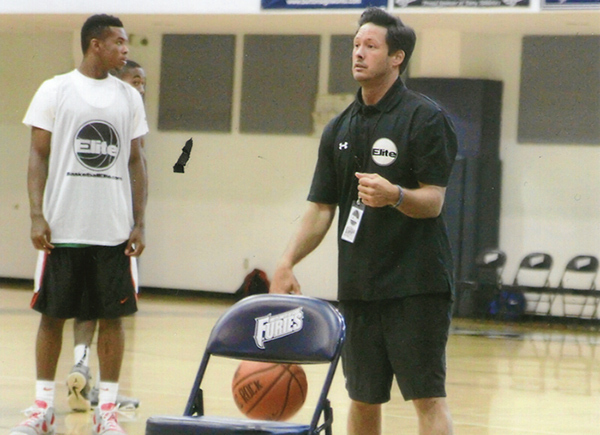 The Basketball Elite Southeast Summer Showcase is a premier individual players’ showcase, taking place on June 25. Rivals affiliates, college coaches and scouting services will be on hand for this high level, high competition basketball showdown. Click here and get more information today. The BasketballElite.com Southeast Summer Showcase will be an individual players’ showcase in Greensboro, NC on June 25. This is going to be a high-competition event, with a chance for players to get more exposure while playing against some of the best players in the region. Visit the official sign up site by clicking the link above, and keep up with the players who are confirmed, the media attendees and the full details of the event!